If you don't have a New Year's masquerade ready for all the kids on the block, you should! 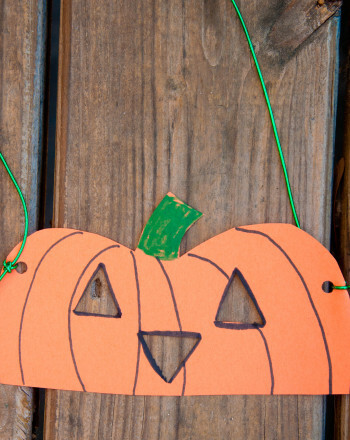 It's a great way for kids to get involved in the New Year's Eve festivities. 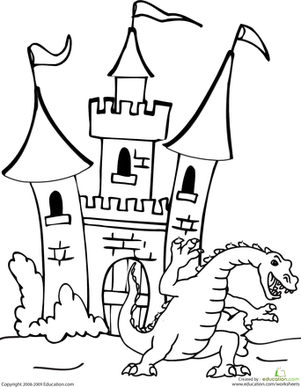 Let your kid colour in this dragon mask to get in the spirit, or Click here for the same mask, already colored. 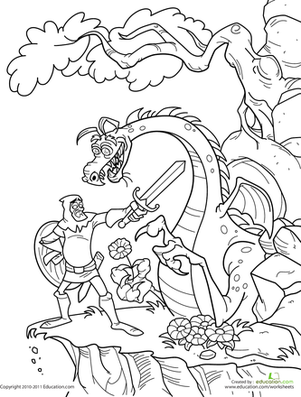 This knight and dragon coloring page displays an exciting dragon fight, one that will surely keep her riveted in her seat as she adds colour! Keep that holiday spirit going through the new year by coloring in this cool mask of holly and wearing it to a masquerade. Colour in a pretty lace masquerade mask and get it ready for a fun New Year's party. Colour in a cool bird mask and get ready for a fun masquerade party on New Year's Eve!